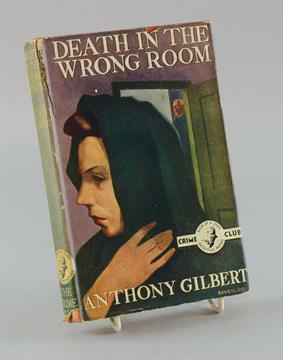 Anthony Gilbert is the pseudonym of Lucy Beatrice Malleson (1899-1973), member of the Detection Club and author of some seventy novels, a majority of which feature Arthur Crook, a lawyer from London, whom Gilbert deliberately created, in 1936, as a foil to the aristocratic amateur detectives who dominated the literary crime scene at the time. Death in the Wrong Room, featuring Arther Crook, was published in 1947 and reflects the changes that came in England during the war years. This review is offered as part of the #1947 Club being hosted @ Stuck in a Book. falls in love with Captain Gerald Fleming and elopes with him. The colonel builds himself a new house, named The Downs, which becomes the talk of the town. Six years after her elopement, Rose returns to her parental home and is welcomed by the Colonel and Jock but her father warns her that her husband should not follow her. Rose reassures her father that there was no cause for such a thing happening: Captain Fleming was dead. An incorrigible gambler, after having run through his wife's money and jewels, he had finally shot himself. "Living is very expensive," Rose tells her father, "but life itself is very cheap." Rose once again takes up her maiden name and life continues as it was before. Soon afterwards the colonel's brother Joseph Anstruther joins them. Crime is his hobby and he thinks that The Downs is the ideal site for committing a murder. But then comes the war and life changes. The rationing begins, servants become a fickle lot, and finances become strained. Meanwhile Sunbridge sees an influx as the Blitz drives people away from London to the countryside. Realizing that sooner or later they will have to give shelter to these 'refugees' on government order, Jock hits upon the brilliant plan of taking in lodgers. The lodgers could stay in one wing of the house, use one of the two staircases, have meals and tea at different times than the family...in short the Anstruthers will never have to sully themselves by interacting with the lodgers. The plan is put into action and the lodgers come and go, paying the Anstruthers but never really interacting with them, all the transaction being handled by Jock. But then towards the fag end of the war comes Lady Bate with her niece Caroline. A harridan, she takes offense at this arrangement which not only doesn't allow her to meet the family on an equal footing but also makes her share the arrangements with the other two lodgers: the chatterbox Mrs. Hunter and the deaf Miss Twiss, whom she doesn't consider her equals. As Miss Bate's resentment simmers things start turning uncomfortable. Meanwhile Caroline meets the handsome Roger Carlton who, after being introduced to her aunt, impresses the old lady so much that she starts thinking of changing in her will in his favor, much to the chagrin of Caroline. As things reach a breaking point in The Downs, Joseph Anstuther's prediction that it was an ideal place for committing a murder come true. Unlike two of Gilbert's novels read earlier: The Clock in the Hatbox and Death Knock Three Times, this doesn't have a knock-out punch in the end but it still made me feel apprehensive and very-very aware that I was reading it while all alone in the house and made me very conscious of the creaks and other noises. And the humour is delicious. Gilbert is very good with tartar old ladies and the conversation among LadyBate, Mrs. Hunter, and Miss Twiss is a joy to read. Also the novel is very good in depicting the snobbery of the English upper crust even as the sun-set for them and the British empire. 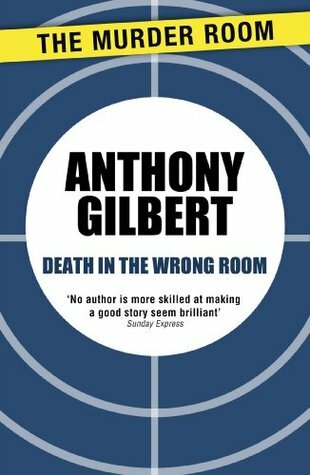 With this, I have read six of Gilbert's novels and all of them have been more or less good with the two mentioned above being absolutely brilliant. I don't know why publishing houses do not bring out her books. Rather than an umpteenth edition of an Agatha Christie, I would like authors like Gilbert to be republished. First Line: THE HOUSE stood on the side of a hill, with a windmill for background, and behind that a wide expanse of pale sky with nothing to interrupt the view but a few trees, and in the far distance, a tall pointed spire white as limestone against the grayer clouds. A great contribution to the 1947 club! I have one of Gilbert's novels unread, but this one also sounds so tempting - especially for the humour you mention. Welcome to the blog Simon. Thanks for your kind words. Gilbert has the typical British understated humour and I enjoy it a lot. This book you can borrow from the open library. Incidentally, which book of Gilbert do you have on your shelves? Oh, this does sound good, Neeru! I respect an author who's able to make you feel uneasy like that (if I may put it that way) and draw you into the story. I tried to read one Gilbert novel a while back but couldn't work my way through it. It was more of a satire type thing. Can't remember the title but I think it was set in Hollywood and was a locked room mystery. ANYWAY, I read your review with interest because I LOVED the cover of the book. :) Maybe I'll give Gilbert another try. He talked in a loud voice and contrived to awaken the woman in the flat across the landing. I heard next day that she complained of the row. "A gentleman taken very ill, might have died," she was told. "He's no gentleman," was her classic retort, "or he'd know it's possible to die quietly without waking all your neighbours."